Most of us have logged more face time with the cast of Parks and Recreation than we have with our real friends. 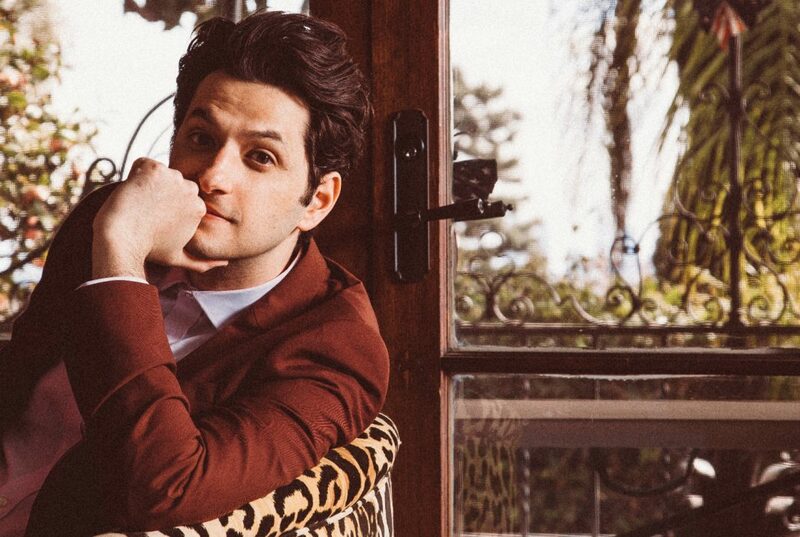 That includes Ben Schwartz and his alter ego, idiotic entrepreneur Jean-Ralphio (a true sitcom legend). What started as a few gigs at Largo with his friend and Silicon Valley star Thomas Middleditch has turned into a twice-a-month engagement at the theater (resuming February 2), plus tour dates all over the country. Ahead of a sold-out Largo show, we asked Schwartz to consider Ninja Turtle-worthy pizza and his ideal L.A. roomie. Celebrity hologram who could do improv with you at Largo? I’ve always wanted to perform with John Candy. Bill Murray. Harold Ramis. If I can make the dream team, it’d be (Amy) Poehler, Tina Fey, Adam McKay. Oh! Jack Lemmon. Walter Matthau. I’d also love to get Tom Hanks. That’d be a blast. I could do this forever. Can a hologram sit in a chair on stage? It’d have to be a hologram chair. Most L.A. sentence Jean-Ralphio could ever say? I feel like he said all of them in the show. He’d say he’s on a juice cleanse, but it’d just be champagne with a drop of something good. … Are you OK? Is this bird poop? Did a bird just poop on my hand? The odds of that happening would be insane. I think it might be bird poop. I’ll just use a leaf to wipe it off. God, I hope this becomes part of the interview. Oh, it’s all over your forehead, too! I was about to be like, why didn’t you tell me? It does look like bird poop. Would you like me to go get you a napkin? That’s very nice of you, but I’ll go grab one. [Alone, into the tape recorder]: OK, you left. I’m going to give you a play-by-play. You just left. You’re going, “What happened, was it bird poop?” And you’re trying to play it off like it wasn’t a big deal, but I could tell you were like, “Oh, my God, what just happened?” Right now you’re trying to get three napkins. You’re getting three napkins. OK, you can’t find the napkins. You’re having trouble. I wish I could take a video of you having trouble trying to find the napkins. You just talked to someone, they helped you find the napkins. And, OK, yes, you got ’em. You’re wiping it off. You did not use water, so deep down you know it’s still going to be there because you didn’t use water. So basically you just rubbed bird poo deeper into your skin. And now you’re back. Here we go. Did you leave me a voice note while I was gone? Excellent. Can’t wait to listen back to this. OK, moving on. Animated character you’d want as an L.A. roommate? This is incredible. There are so many places we can go. One of my favorite characters of all time is Milhouse, but I don’t think I want to live with him. It would just be so much. Genie from Aladdin would be incredible because then you get wishes and Robin Williams. Free Genie or lamp Genie? Free Genie, with the hope he can still do wishes. I would love for him to be free but for him to hang out. That would be so nice. I’m so glad I thought of that. Or maybe a great chef? Or a pet? Scooby-Doo is too much of a mess. Yogi’s always trying to steal stuff. Mickey Mouse might be fun. Donald Duck is too much. Pluto might be fun. But I think Genie. Where in L.A. would Leonardo go for pizza? This is a great question because there are pizza problems in L.A. There are all of these fancy choices, and I think sometimes the fancier the pizza, the more you lose the soul of the pizza. But there’s a place called Vito’s Pizza on La Cienega that feels exactly like a New York pizzeria. That’d be a good Leonardo place. You’re writing your first memoir. What’s the title of chapter ten? So you have the answers to my follow-up questions as well? That’s very helpful. So we’re almost halfway through what I’m trying to say. How many pages is the book? 382. Big for a memoir. Well, you have a lot to say, so. If Jean-Ralphio’s company Entertainment 720 planned an event in Los Angeles, where would it be? Next articleAre We Safer Than When the Northridge Earthquake Shook L.A. 25 Years Ago?